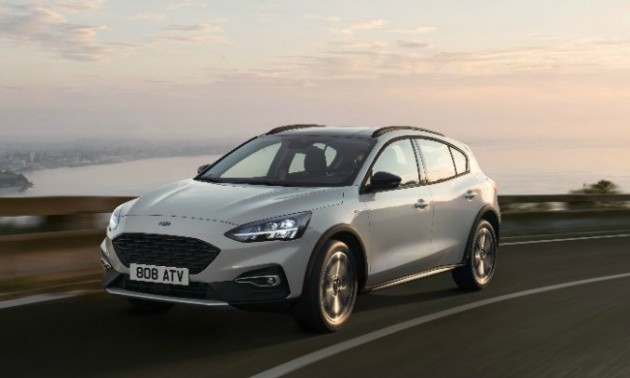 LONDON -- Ford has redesigned its Focus compact to put more emphasis on semi-autonomous technology and a sporty exterior design as part of a strategy to make it globally relevant. 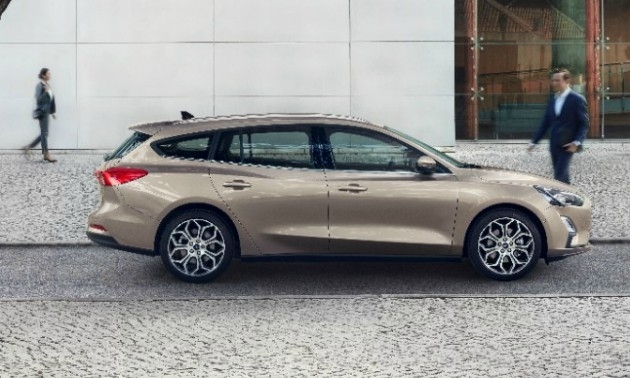 The hatchback and wagon versions are being unveiled today in London while the sedan variant is being shown in Shanghai. 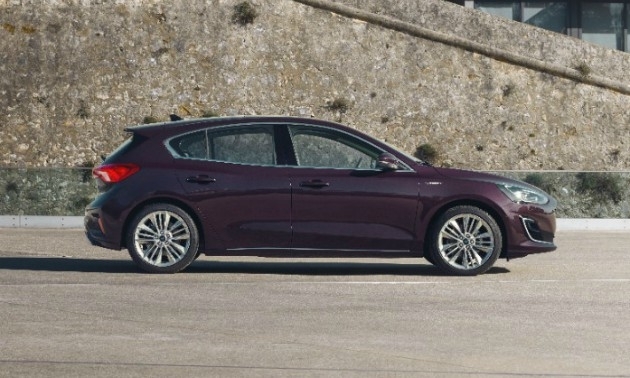 The fourth-generation Focus is built on Ford's new C2 architecture that the automaker claims helps save the company money by reducing complexity while also allowing specific regional variants targeted directly at its biggest markets of Europe, China and the U.S.
"We're evolving our successful One Ford strategy to find new ways to create a sporty-looking small car our customers will love," Jim Farley, Ford's head of global markets, said in a statement. 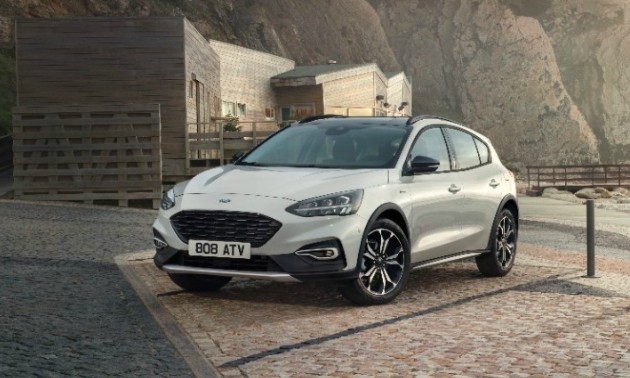 Ford showed a new crossover-inspired Active variant of the Focus hatchback in London, as well as versions with the upscale Vignale, mid-market Titanium and sporty ST-Line trim packages. In China, the sedan was shown in ST-Line and Titanium trims. 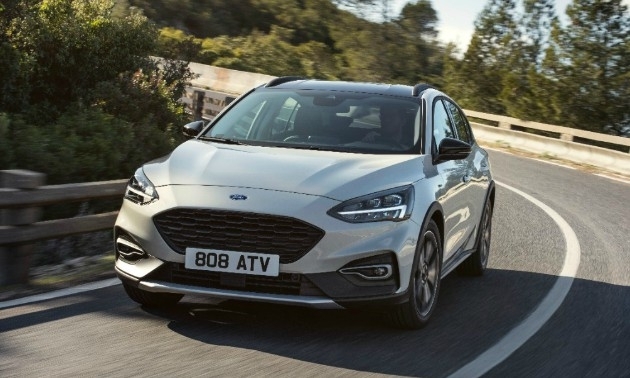 In the UK, Ford’s largest European market, the Focus will start at 17,390 pounds ($24,600) for the base Style version. That is more than 2,000 pounds less than the base version of the model that is being replaced. 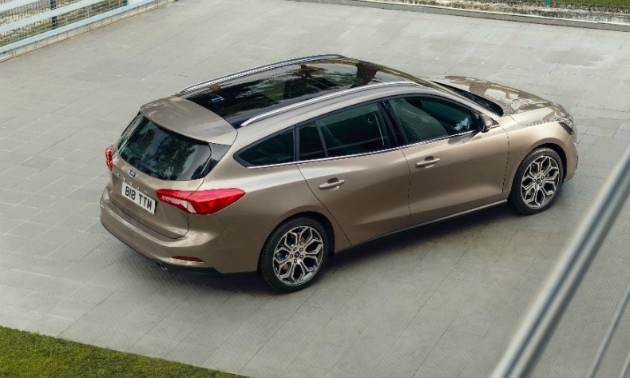 The top-of-the-line Vignale starts at 25,450 pounds. European models will continue to be built at Ford's factory in Saarlouis, Germany, while the automaker's plant in China will make the sedan for both the local market and for the U.S., Ford announced last year. 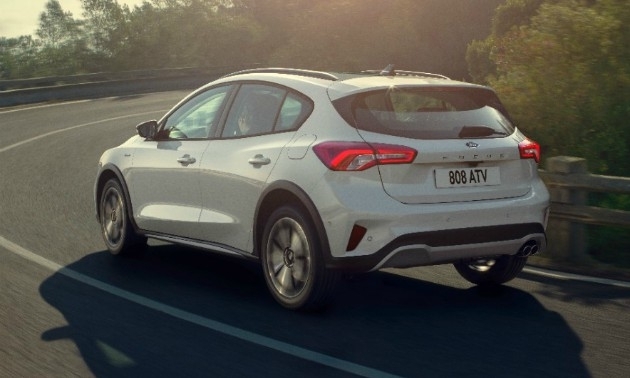 The car goes on sale in Europe and China this year and in the U.S. in 2019. Variants for the U.S. will be announced later, Ford said. Semi-autonomous technology in the Focus has been bundled into an options package that Ford calls Co-Pilot360. 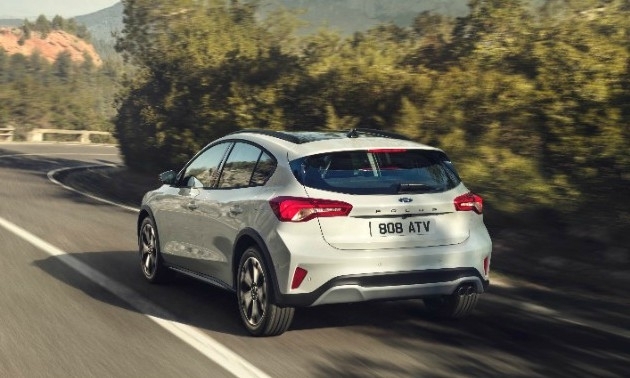 Speed, lane-keeping and distance to the car in front are all monitored by an adaptive cruise control system that works in stop-go traffic as well as reacting to speed limit signs. 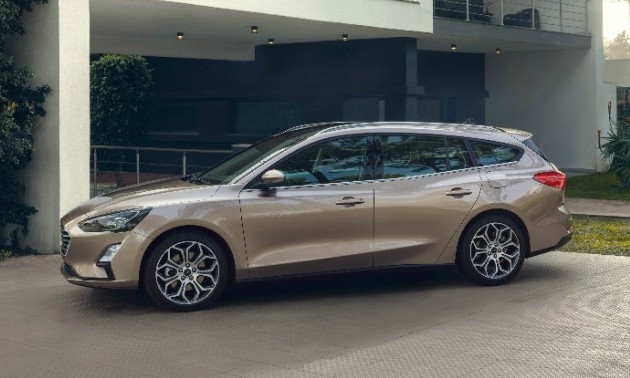 One version of the system allows the driver to choose how the adaptive cruise control reacts, depending on whether Sport, Normal or Eco is selected in the drive modes. Also available in Co-Pilot360 is an adaptive lighting system that changes headlight patterns based on upcoming curves in the road, as well as speed limits signs, which indicate a change to urban driving from rural. 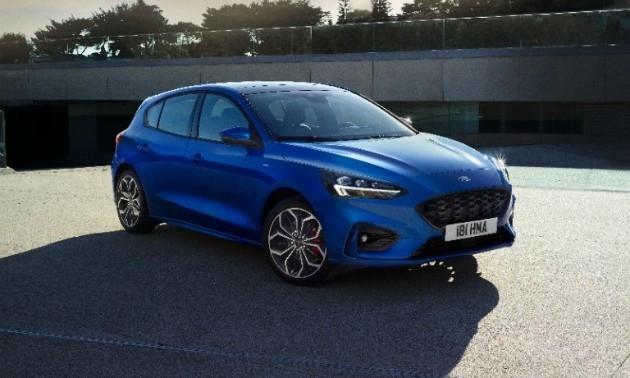 The design of the car has been made to look more sporty compared with the previous-generation model by shifting the cabin slightly more rearward and giving it a longer hood, Ford said. More prominent rear wheel arches and the appearance of double exhaust exits to the rear on some models also contribute to the sporty look. The car's cabin has been designed to include a so-called "floating" infotainment screen above the dashboard on higher-end models. Ford said it had slimmed the center console by switching to an electric handbrake and a rotary dial for models optioned with the automatic transmission, rather than a gearshift selector. The number of dashboard buttons have been reduced by moving more controls to the touchscreen, Ford said. The highest-spec, 8-inch dash screen runs Ford's Sync3 infotainment technology and uses pinch and swipe technology to zoom in. 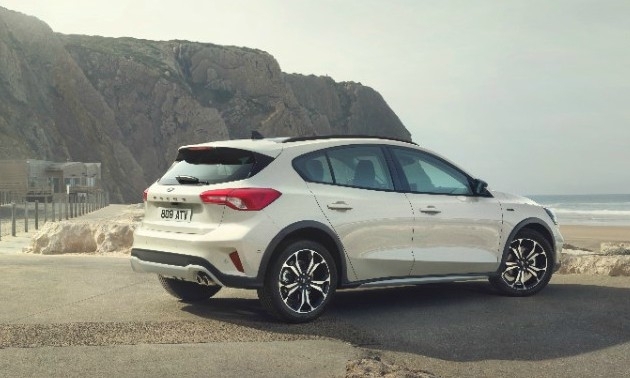 The screen can also incorporate elements of FordPass Connect, a technology that uses an embedded modem to connect the car to internet services, such as music streaming and satellite navigation updates. An app on the owner's mobile phone gives information on the car, including fuel levels and vehicle location when parked. 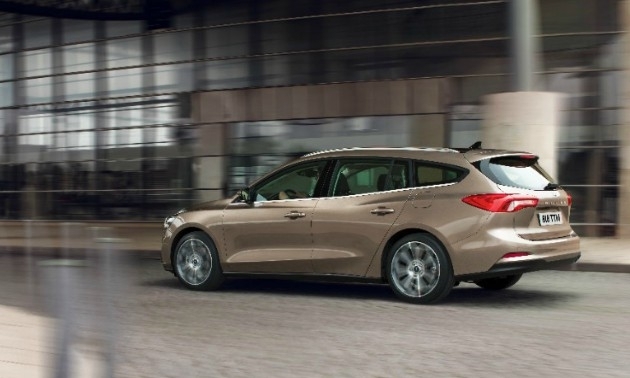 Ford said the new Focus offers more room inside despite no increase in the overall dimensions. A longer wheelbase freed up more cabin space, it said. The Focus is Ford's No. 2-selling model in Europe after the Fiesta. Last year the car was the No. 4-selling volume compact in the region with 215,2017 sales. 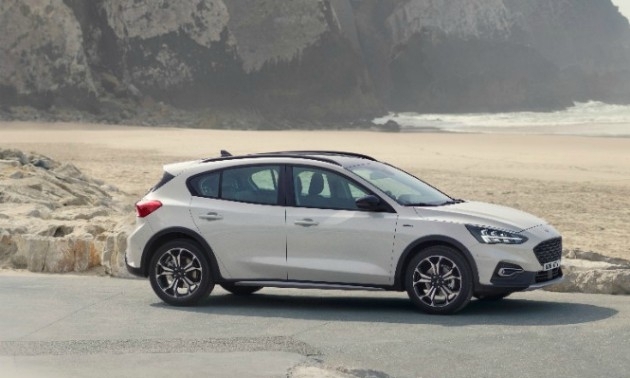 It trailed the Volkswagen Golf, Skoda Octavia and Opel/Vauxhall Astra, according to data from market analyst JATO Dynamics. Ford's Farley has previously predicted reduced European volume with the new Focus as the company focuses on higher-margin sales. 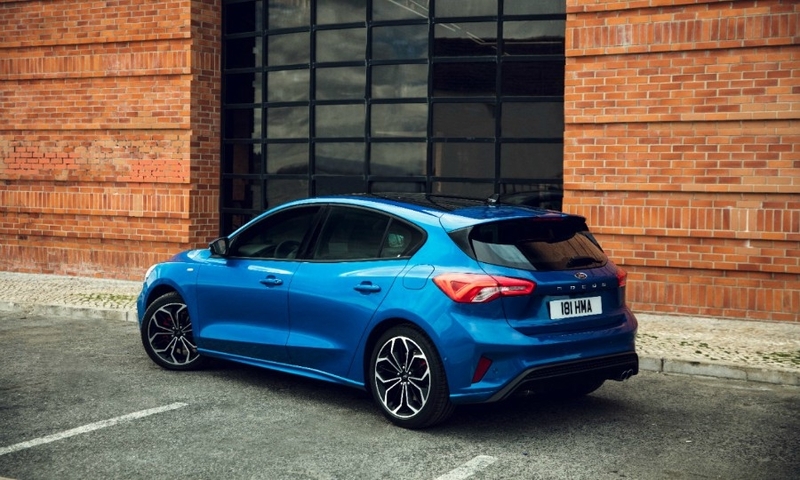 Ford said it had reduced the number of orderable configurations on the new Focus by 92 percent versus the previous car. Configurations have been cut from 360 in some markets to as few as 26. "This complexity reduction helps Ford lower and control costs while ensuring Focus customers can more easily and quickly find the model that meets their needs," Ford said in a statement. 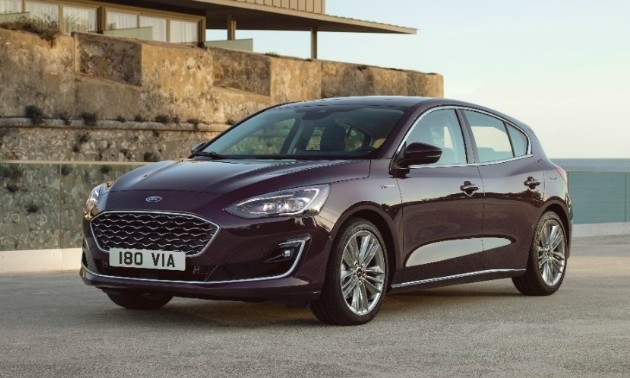 The European Focus is available with a 1.0-liter three-cylinder EcoBoost turbocharged gasoline engine with three different power outputs, and a 1.5-liter EcoBoost gasoline unit with two different outputs. Two new diesel engines are also available: a 1.5-liter EcoBlue with two power outputs and a 2.0-liter EcoBlue with 148 hp. A new eight-speed torque-convertor automatic transmission is also offered on all engines except the lower-powered 1.0-liter models.